Shameless and this should not have been brought up at PKR Congress.. This is what he said,”PKR’s Lumut MP Mohd Imran Abdul Hamid demanded that Putrajaya explain why similar tributes were not given to Malaysian soldiers who were killed in Lahad Datu or Lebanon. “It’s not that we are not satisfied but we see an excessiveness in mourning the victims of MH17,” he said while addressing PKR’s national congress this afternoon. “Our fighters in Lebanon and Lahad Datu are not accorded such ceremonies . 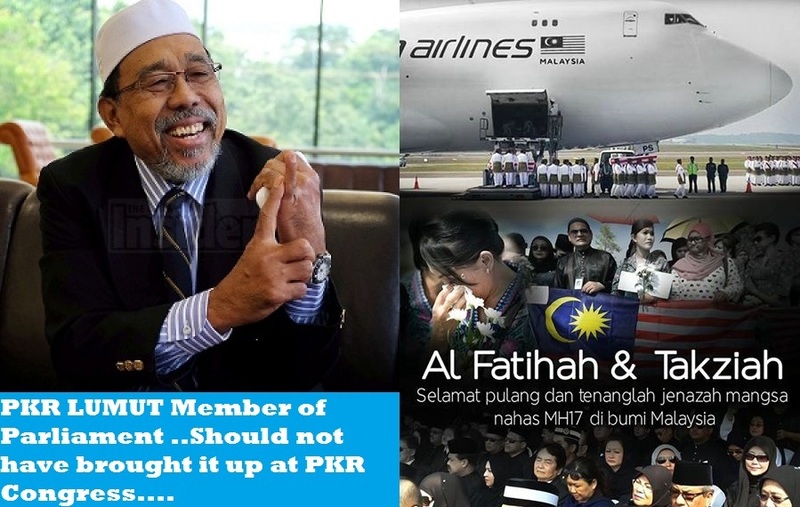 It is a shame that PKR Lumut Member of Parliament chooses to use the recent national mourning ceremony for the victims of MH17 as a point to draw the sword upon on the government. It adds to yet another uncalled for kink on the armor of the opposition that is still reeling in agony over the Menteri Besar debacle. The world mourned for the victims on board MH17. So did the Netherlands who accorded a national honor for the dead. In Malaysia, businesses and the public services came together to demonstrate their united stand as the nation received the remains of the victims on our soil. Indeed, we have in doing so sent a stong message to the world of terror that Malaysia like all like-minded nations will never take this tragedy lightly until justice is measured out to the perpetrators of war. 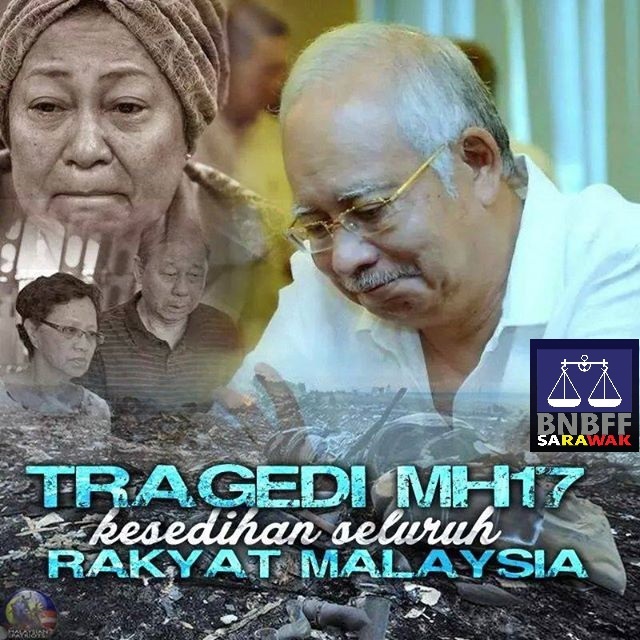 Now for the Lumut MP to gripe over the national effort for the victims of MH17 and demand explanations why the same was not seen for the Lahad Datu soldiers who died on the line of duty, really stinks. As the Deputy Finance Minister Datuk Ahmad Maslan rightly pointed out the government is justified in what it did with compassion, responsibility and sensibility. And the various ministries and their leaders who worked right through the long nights and days to see to the final journey of the remains of the MH17 victims deserve recognition, not gripping negativity. The Malaysians who losts their lives in the #mh17 were all accorded the same ceremony and respect by our government and thus this should not be politicised at all by an MP from PKR. Its truly distasteful and shameful and mosts Malaysians will want some sort of action from the Pakatan coalition.